Have you been watching Mr. Selfridge? This question sounds so naughty when you read it out loud! The very charming and mischievous founder of Selfridge's had us hooked from the first series last winter! 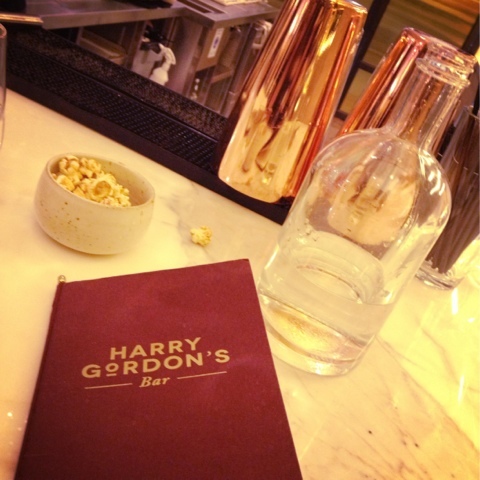 So, when Harry Gordon's Bar opened in Selfridges last month we had to try it out. Oh well, it didn't turn out to be exactly that but it certainly features a grand marble bar to accommodate the patrons, very much in style with an oldy worlde gentlemen's club. Oh! And the copper cocktail shakers! I want one! On to the important matters now: the drinks! 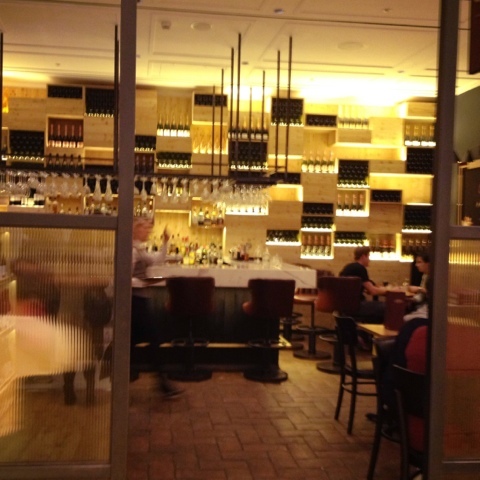 We did try Gaia's Assyrtiko, a smoother white wine from a boutique winery in Santorini island, Greece; not too dry, not too sweet, smells slightly like Retsina. Moving on: Marmalade and black tea? You hardly call it a cocktail so I'd be forgiven for carrying on with more than one. But since it also includes Sacred Gin, (oops, see how I almost forgot to mention that?) I behaved and made the most of my one fragrant potion! 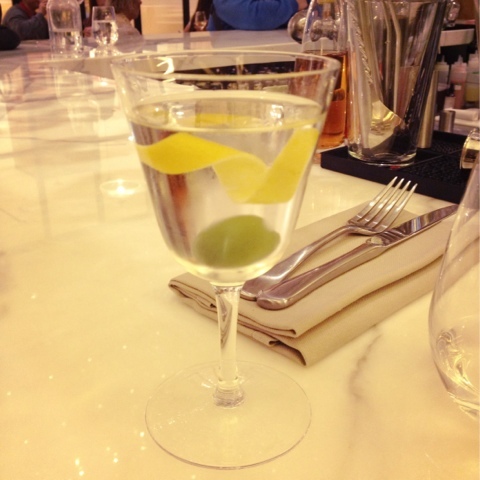 Next up Lyan's Tail, a classic martini with infused wine, quite fragrant but with a kick! 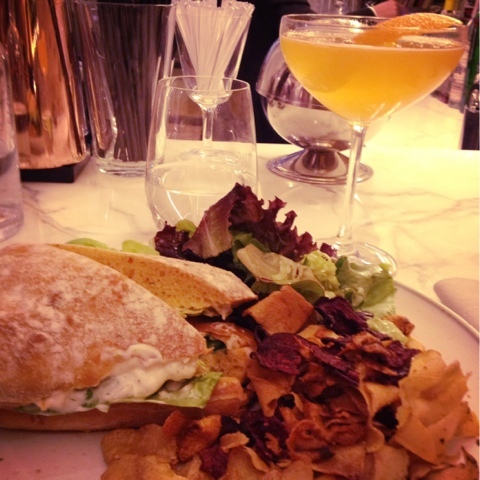 To eat, we had crab with mayo to compliment smoked salmon on soft ciabatta...now that's what I call brunch! 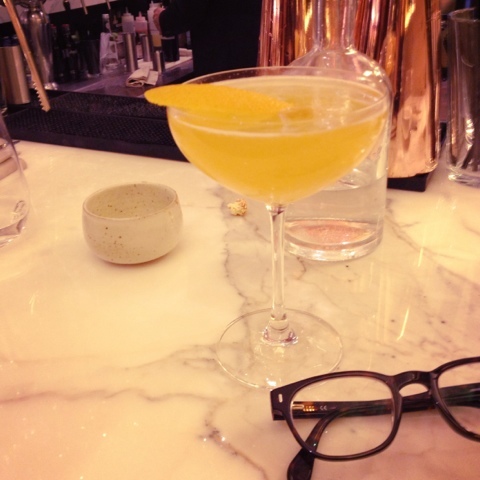 And in case you were wondering, we didn't bump into the charming Jeremy Piven either...oh well, the drinks were rocking either way!